At lunch with a friend recently we were discussing messaging directions. While his perspective was for a Fortune 100 corporation and mine is for our much smaller consulting organization, we were running into the same issues. The players in the messaging sector are creating walled gardens to tie you into their ecosystem. I'm sure that they would argue that it is to "improve the customer experience" and it may very well do that for the in-house customers but isolates them from the rest of the world. 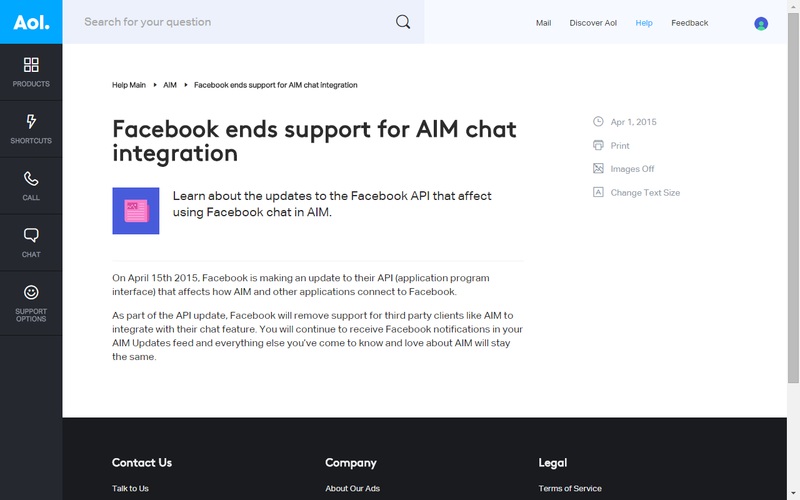 On April 15th 2015, Facebook is making an update to their API (application program interface) that affects how AIM and other applications connect to Facebook. As part of the API update, Facebook will remove support for third party clients like AIM to integrate with their chat feature. You will continue to receive Facebook notifications in your AIM Updates feed and everything else you’ve come to know and love about AIM will stay the same. Google Talk was a player for a while. Google has since admitted that it is indeed shrinking its support for Extensible Messaging and Presence Protocol (XMPP). XMPP was meant to enable users from one Internet communication network to be able to talk to a friend or co-worker on another such network. So, for example, an AOL Instant Messenger (AIM) user could talk to his co-worker on Google Talk and vice-versa. I used to use imo.im but they withdrew into their own walled garden. In emails sent out to users on Friday, imo announced that it will be discontinuing support for all third-party instant messaging networks to focus on a build-out of its own platform. What do I use now? Ironically I use the web interface of aim.com. It still supports Google Talk. And it'll send SMS. I've posted before about my use of Vestalink. It always worked well for me. 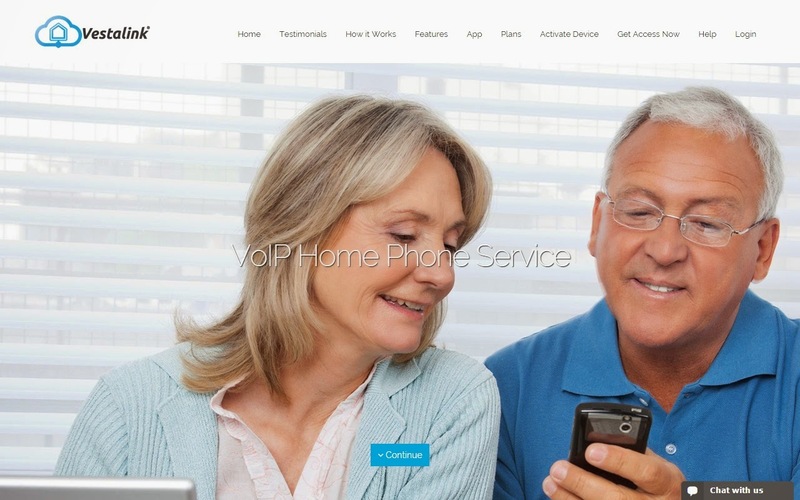 When Google and Obihai reached an agreement I moved back to pure Google Voice but left Vestalink in place for E911. Initially the package from Vestalink was $39.99 for 2000 incoming/outcoming minutes/month. When it came up for renewal it was $79.99 for the same package. That made me step back and think about it. We are actually doing landing page testing. Since fatherly individuals might be looking for a land-line replacement we were thinking this picture might lead to good conversions. We still do not have enough data to see if this is a good picture or not. But it is good to hear your feedback on it. It would be great if you could start a discussion on the validity of the official obihai support. I think there is some interesting things going on a Google right now with Nova (the new cell phone service). I believe that the "official" support Obihai is claiming is just to sell more units before Google voice is finally merged into hangouts later this year. VoIP is not free like email. Google is taking huge losses to support this network, they have to monetize it eventually. I think Nova is the ultimate result. Great blog by the way! Ryan Tilton is the owner of Vestalink. 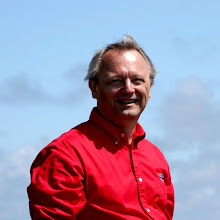 He encouraged me to "start a discussion on the validity of the official obihai support" and suggested that the "'official' support Obihai is claiming is just to sell more units before Google voice is finally merged into hangouts later this year." I did whine at him about increasing his rates. ..even the 500 minute plan is almost twice what I paid initially. Have your costs actually INCREASED this dramatically? Doesn't feel right. We want to significantly improve the software so we are raising prices to hire some programmers for system updates and better overall user experience. And he lowered my rate for one year to the original $39.99. I still let the package expire. Uh, notice the picture! And it's still on the Vestalink homepage. Vestalink launches GVsip - GVsip allows you to use your Google Voice account with any VoIP device. How did Google stump their toe so badly? 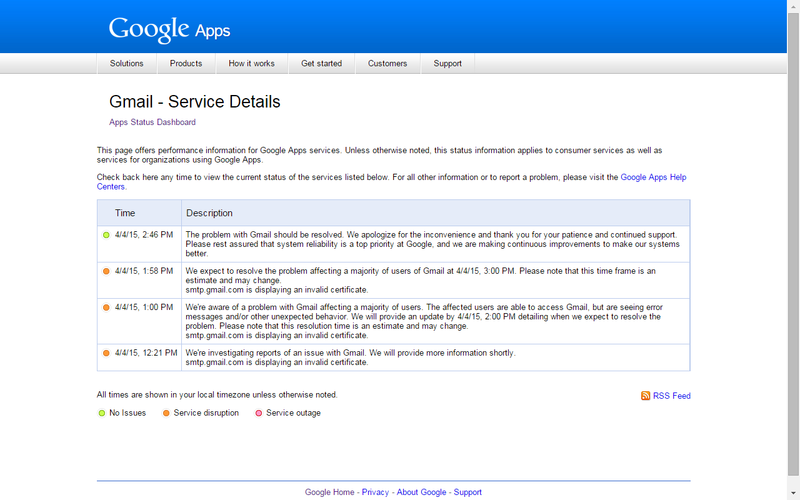 Read the fine print in this Google Apps Status Dashboard. smtp.gmail.com is displaying an invalid certificate. tl;dr Google let their smtp certificate expire on a holiday weekend. Perhaps Google could put a reminder on their calendar to help them not to overlook this again. Better yet, put it on an Outlook calendar. There's a good recap of it here. We're planning a long trip this spring and I got to thinking about how to get media available for our granddaughter. Since I'm cheap frugal most of my iDevices are only 16GB and after iOS 8.1 there's not much room left for movies. My first thought was to spread the media around, some on my iPad Air, some on my wife's iPhone 5S, some on my Moto X, etc. That was going to be confusing at best. Then in my Deals RSS feed popped up a RAVPower FileHub. It's hard to explain what this gadget does. I'll start with sharing the description from Amazon. It's got a connector for everything and it weighs 5.5 ounces. Its size is 2.9 x 2.8 x 0.9 inches. 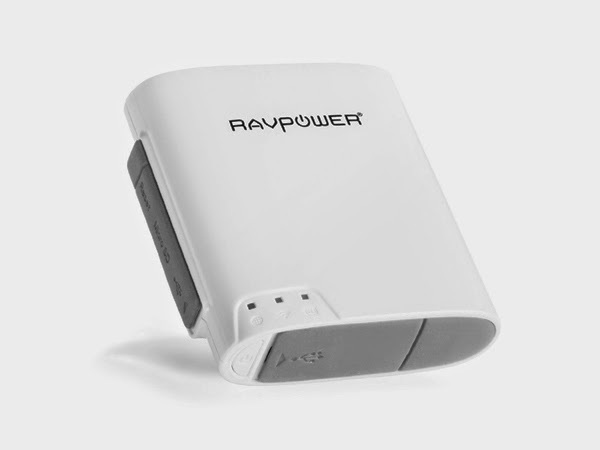 I had been looking for a battery pack for my mobile devices anyway and my travel router is only 802.11g. This seemed like it was too good to be true but it all seems to work. I found an unused 32GB microSD card in my stash to contain the media. It came already charged and when I turned it on it presented a Wi-Fi network named "FileHub-XXXX". You can connect to this with your PC with a password of "11111111". There's a web UI (10.10.10.254) that will let you update the firmware and configure the device. There are iOS and Android apps in the respective app stores. Not only can you stream media from the microSD card to your Wi-Fi device(s up to 5) but the app has a player for media already on the phone or tablet. From your laptop browser just go to 10.10.10.254 and there's a media player served from the device. If you give the app access to your device's media, you can download the media from the device to the FileHub using either the microSD or an external USB drive. Similarly if you access this from your laptop browser you can download files from the laptop to the FileHub using either the microSD or an external USB drive basically making it a microSD/USB adapter. All this worked perfectly and I haven't found anything that it won't play although pretty much all my media is H.264. I flashed the firmware to the latest rev. I have used it as a Wi-Fi WISP device bridging my Wi-Fi to another SSID with NAT in the middle. Just what you need for Starbucks. 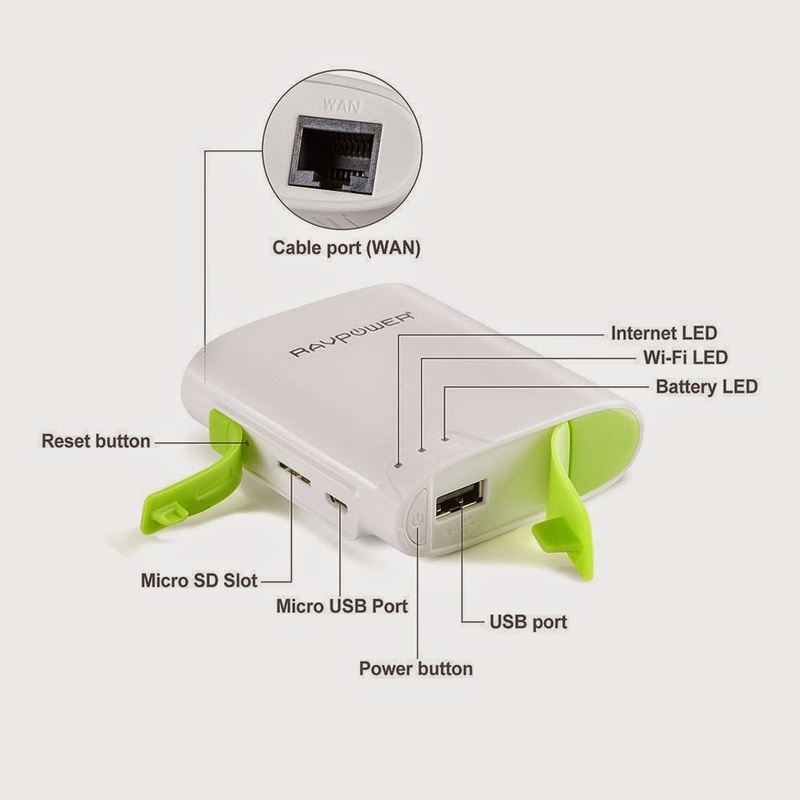 It will also function as a pure NAT router generating its own SSID from Ethernet input. The charging output is 1A so it probably won't do well charging an iPad.